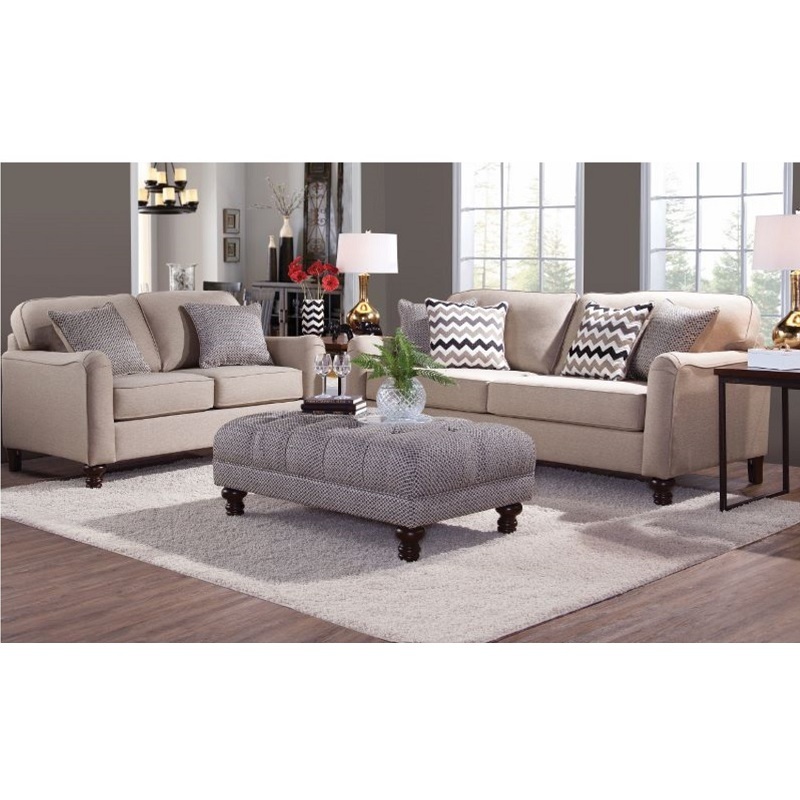 Durable fabrics make this transitional style, neutral buff colored loveseat a smart choice for long-lasting beauty. With accent pillows and reversible cushions. Enjoy the cozy comfort of Serta with this beautiful loveseat.